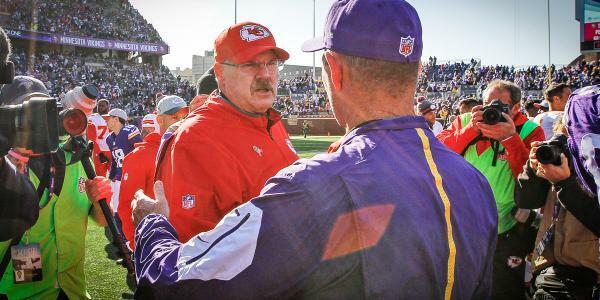 The Vikings host the Kansas City Chiefs out of the bye, looking to take advantage of a soft spot in the schedule. Join in on the discussion as Andrew Krammer, Judd Zulgad and others react LIVE during the game with #1500ESPNLive. #1500ESPNLive is an experience like no other. You will get instant commentary, opinion, analysis and reaction to what is happening on the field. Enjoy real time videos, photos, audio and posts from around the world via social media. Bridgewater and Zimmer tipped cap to Marcus Peters on that second INT. Adrian Peterson had the ring finger on his left hand taped up during postgame interviews. He said he jammed it, but not the reason he sat. Bridgewater said play he's "most upset about" was overthrowing Ellison on third down in fourth quarter. A career day from rookie WR @stefon_diggs vaulted the #Vikings to victory. Linebacker Anthony Barr said a ref apologized to him for the taunting call, apparently conceding it was a mistake. Vikings LB Eric Kendricks: "The game's starting to slow down, I guess you could say. I'm starting to read things before it's happening." We drop to 1-5 with today's loss to the @Vikings . 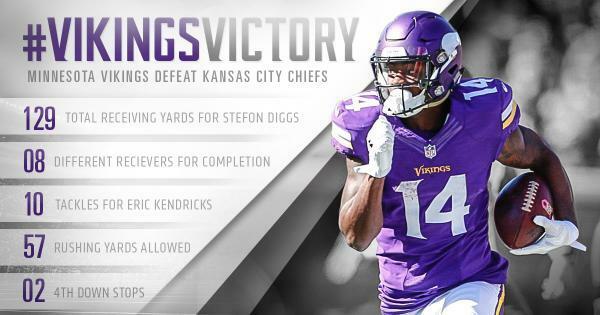 What big plays sparked today's #VikingsVictory ? 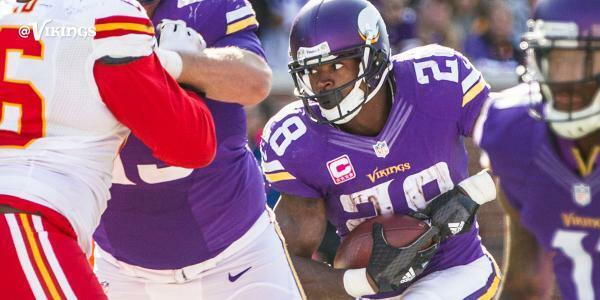 Adrian Peterson called rookie Stefon Diggs a "game changer." 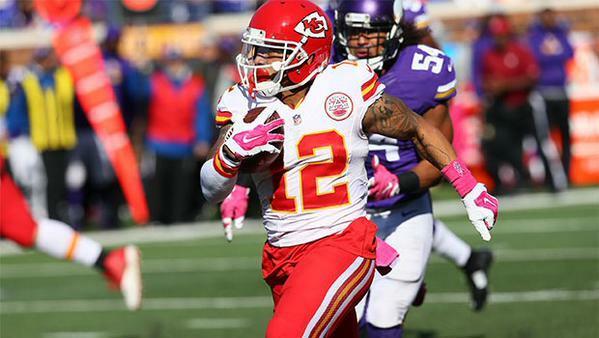 His seven catches on nine targets (129 yards) have been submitted to evidence. "I got my pacemaker adjusted after that one."